When I was a teenager, I visited Solvang California while on vacation with my family. 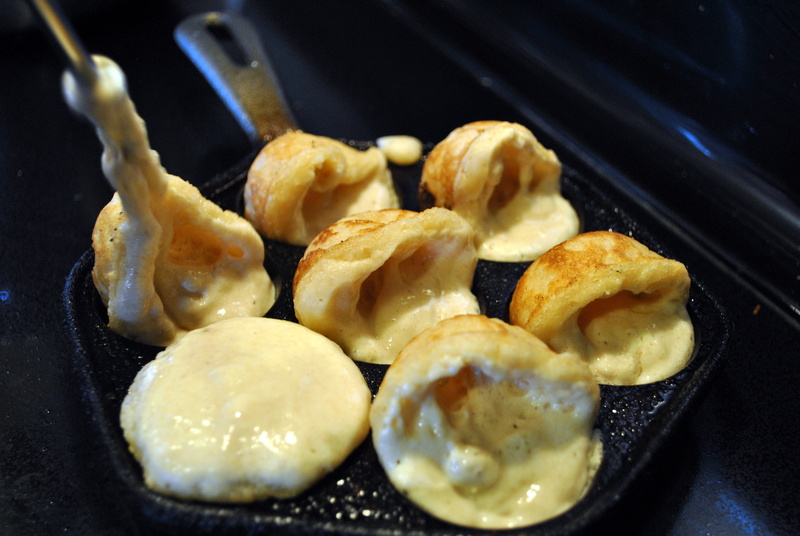 We ate Aebleskivers at a restaurant there and we haven’t been able to stop eating them since. They have become a Holiday or special occasion breakfast tradition. 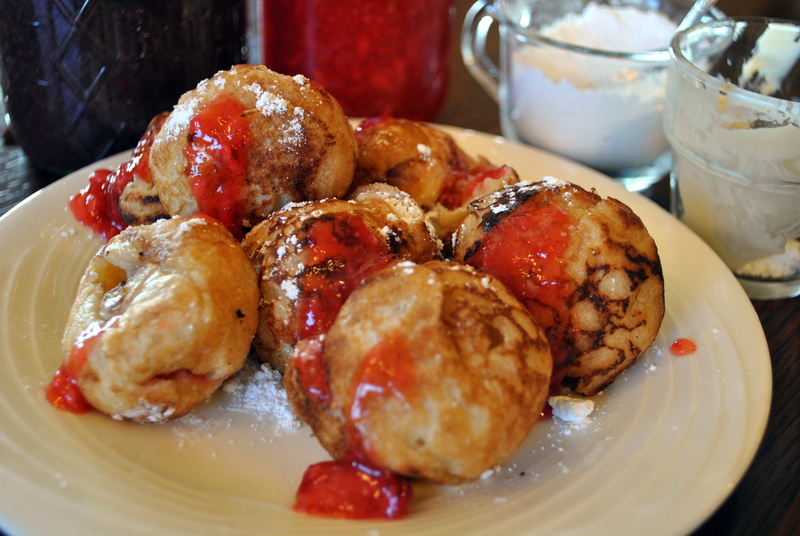 They take a little practice to learn to make properly and in my previous omnivore life, I was quite the little aebleskiver maker. 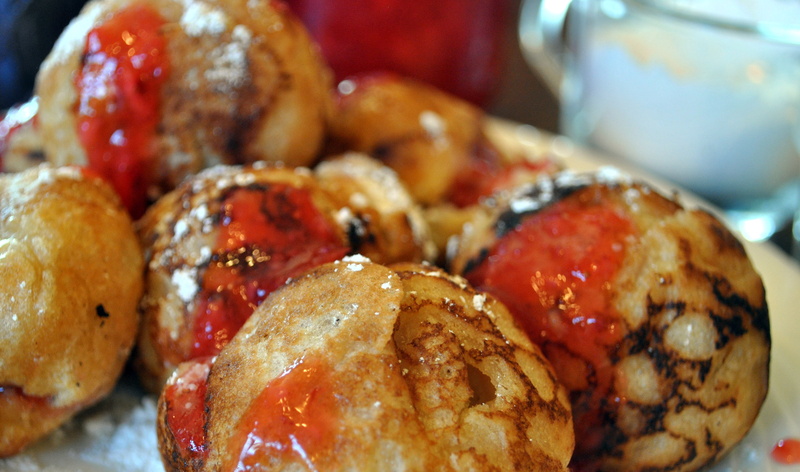 Sadly, when I went plant-based, I thought that I would never eat another aebleskiver again. 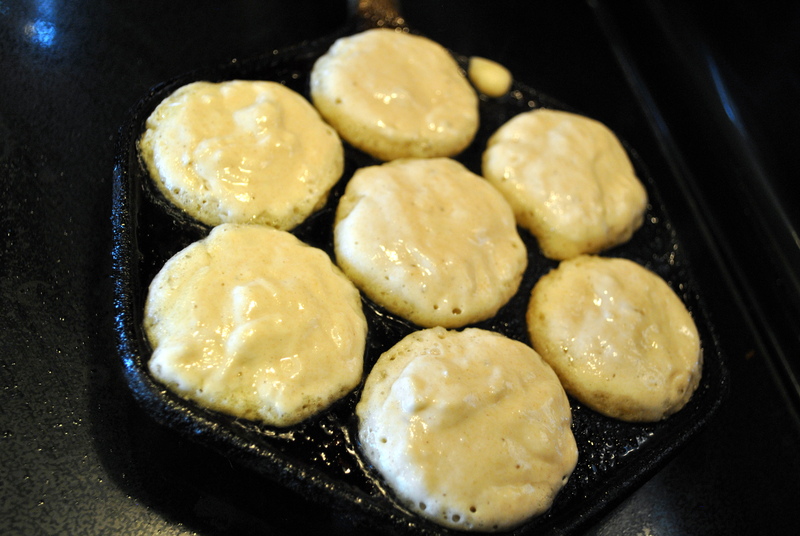 They rely on white flour, egg whites beaten stiff, melted butter and buttermilk for their fluffy tenderness. 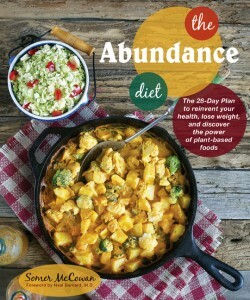 I thought they couldn’t be veganized. Thankfully, I thought wrong. 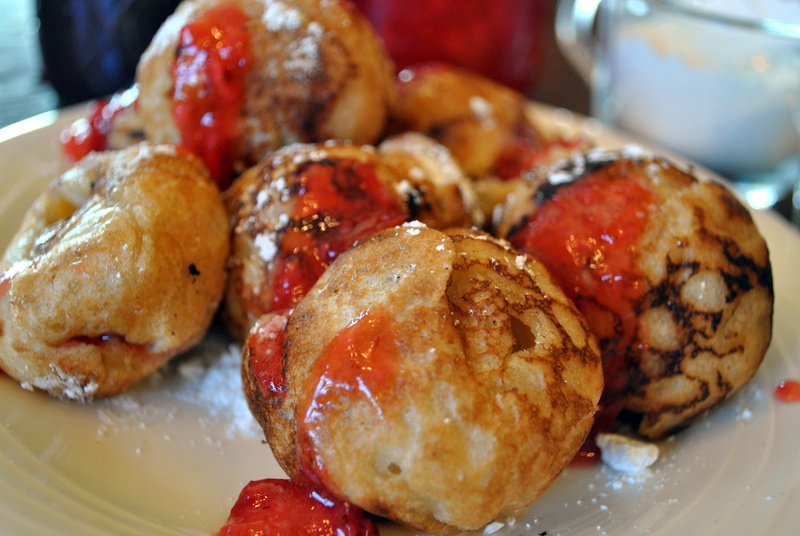 That darling restaurant in Solvang gave my mom their aebleskiver recipe. I’m terribly sorry that I don’t know how to give them proper credit, It’s been too many years and a Google search reveals there are many little such restaurants in Solvang. I have a copy of it in my heavily abused used family cookbook, it just needed a little big modification Note to self: these are a special treat, and because they use oil and earth balance, remember not to make them every day or Dr. Esselstyn won’t be your friend anymore. 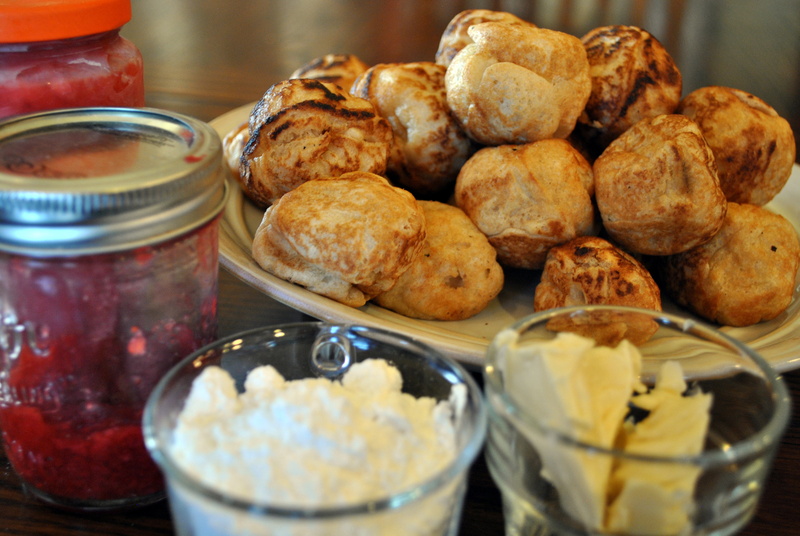 Method: preheat aebleskiver pan over medium heat before mixing all ingredients, if it’s not hot, your aebleskivers will be a disaster. In a large bowl, combine all the dry ingredients with a wire whisk (including the egg replacer, you do not need to mix it with water first). Add the wet ingredients and stir just until combined. 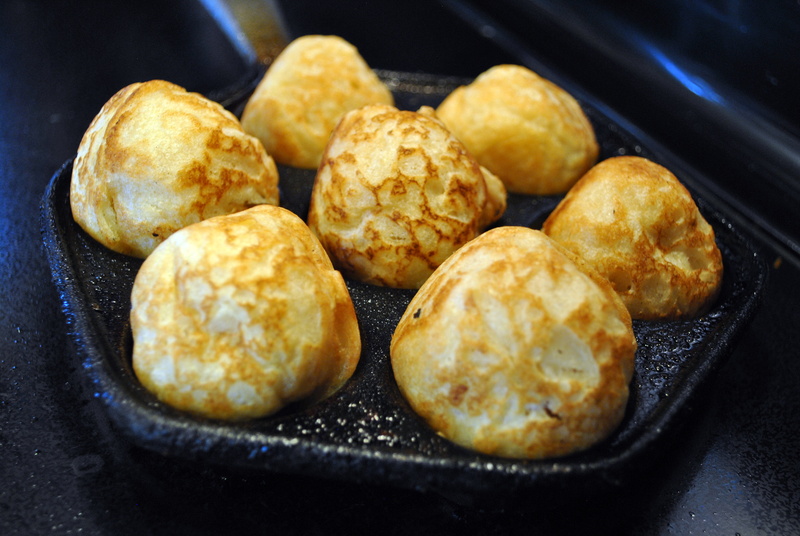 Put 1/2 t. vegetable oil in the bottom of each aebleskiver pan cup. Pour 2 T. (I use an 1/8 cup measuring cup) of batter into each cup. 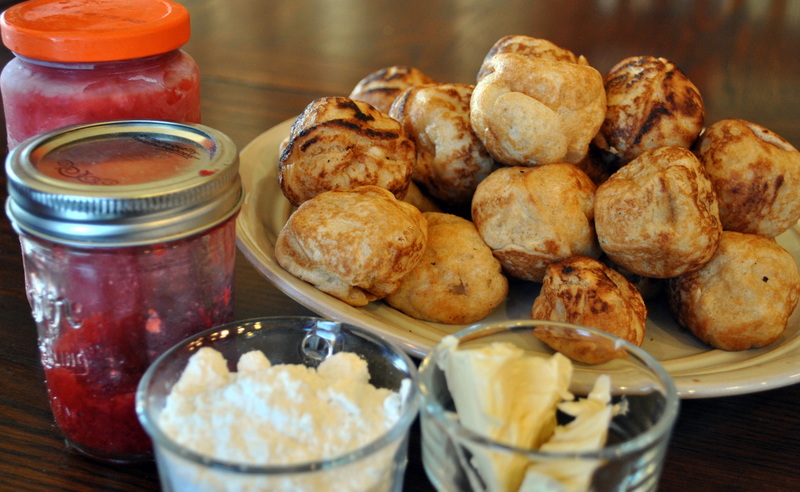 After about 30-60 seconds, Turn the aebleskiver halfway out of the cup using a knitting needle, crochet hook or chopstick. 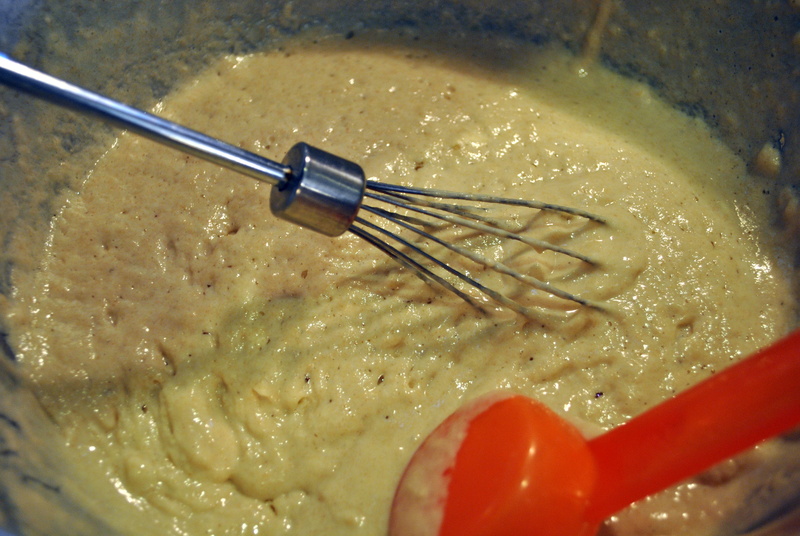 The batter will pour out of the cooked portion and start to form a ball. Cook 30-60 more seconds and turn another quarter turn. Cook 30-60 more seconds. The final turn should have the cooked side facing entirely out and the batter forming the last bit of the ball in the bottom of the cup. 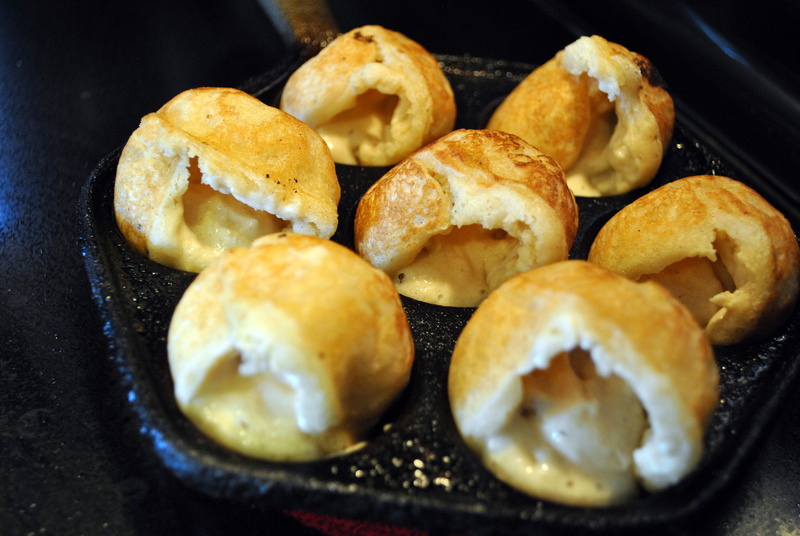 Place cooked aebleskivers in a warm oven to keep them crisp while cooking the next batch, you will need to add more oil to each cup in between batches to keep the batter from sticking. Split open and serve hot with a dab of earth balance (if you must) strawberry freezer jam and a sprinkling of powdered sugar. Laugh at guests who ask for maple syrup.